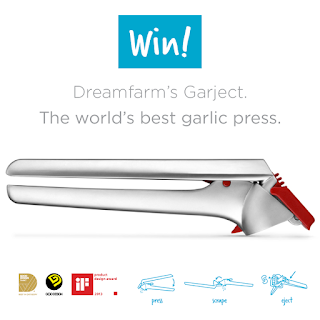 *Disclosure: I received a complimentary Garject from DreamFarm. All thoughts and opinions are my own. A few months ago, I snapped the handle right off my garlic press – I was super bummed, because I used it a lot and really liked the one I had. I bought a replacement, but I just wasn’t happy with it, but I didn’t think any of the other readily available garlic presses would be any better, so I resigned myself to mediocrity. Then DreamFarm contacted me wondering if I’d like to test one of their products. 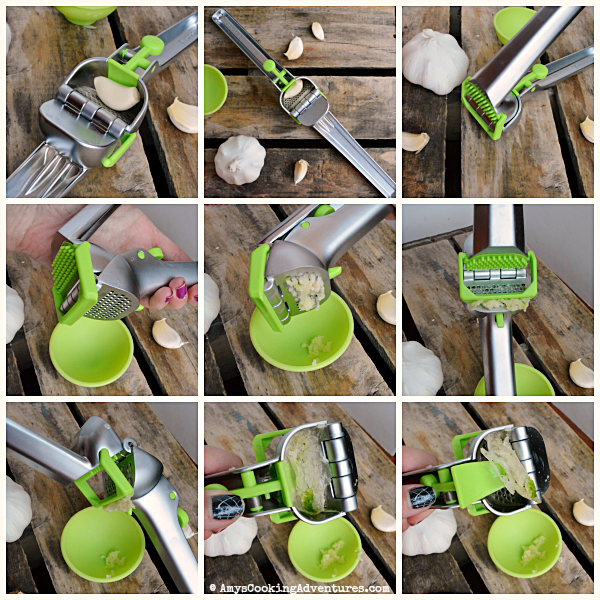 I looked around their website and found tons of very fun, innovative kitchen gadgets, including the Garject – a garlic press that presses garlic, scrapes the press clean, and then ejects the peel! It was destiny – I received the Garject and fell in love! It is the BEST garlic press I’ve used so far (including that beloved garlic press I broke). It makes pressing garlic a breeze, and clean up even easier!! Even Hubs was impressed! DreamFarm is a small company that started in the founder’s backyard shed. Check out DreamFarm on their website or on social media. Now, who wants a Garject of their very own?!? I make pizza at home quite often, so the Scizza would be fun to try. I am excited to try the garject! I would love to try the Scizza! Mmm pizza! I would love to try the Clongs! Very cool products. I would love to try the levoons. I would love this garject. I like the idea that it cleans itself. I'm most excited to try the Holey Spadle. Oh I covet their stuff. (btw, there is something wrong with your link, but I just Googled them) I want some Levoons to measure things, like when I am making waffles - which I do about 3 times a week, from scratch. I have had my eye on this garlic press. I am a lavish user of garlic in many, many things. I should also add that I have a Smood that just got a major work-out over Thanksgiving (regular mashed potatoes and sweet ones too) and that in summer works overtime here in soCal smashing Avocados smood too. Thanks for letting me know - it should be fixed now! I would love a Garjet! Looks like superior quality! 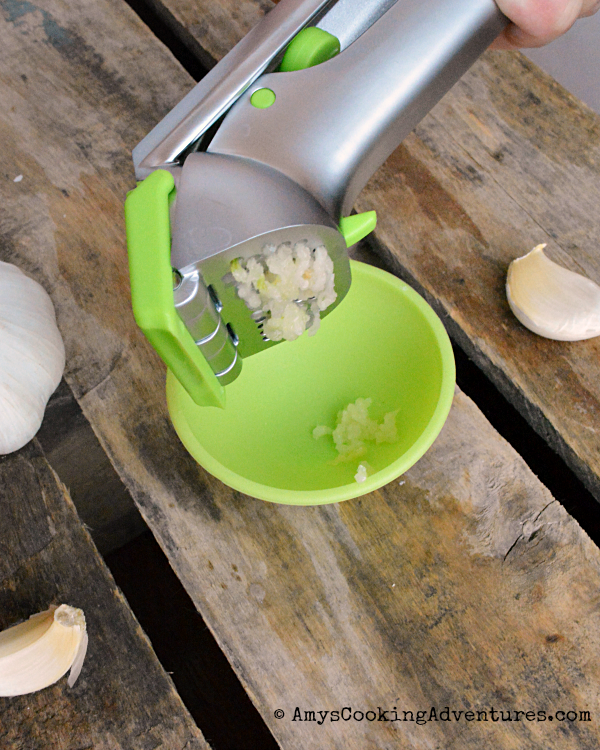 Having a great garlic press is essential! I've been looking for a good garlic press forever! I would love to try the Smood! That gripet would be great for my non magnetic stainless steel fridge. OMG the best press ever! I know so many people who would love it... now I know what to get for birthdays and Christmas! my wish list is soo long, teafu, gripet, onpot, are my top 3! 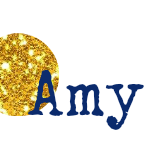 Everything on that website is amazing!! But I really like the Levups and Levoons.. ooh or the vebo!